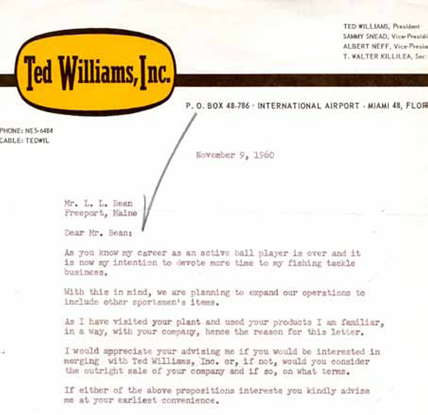 Ted Williams was one of the best hitters who ever lived. He was also a famously did-it-my-way sort known for, among other things, saying whatever was on his mind and to heck with the consequences. 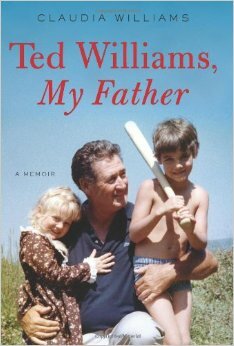 In “Ted Williams, My Father,” Claudia Williams demonstrates that she is very much her father’s daughter. She has written a memoir that is tender and tough, poignant and heartbreaking, sweet and raw. And so honest that at times it feels like peeping into a stranger’s window. Claudia was a product of her father’s second marriage, born a decade after he retired. She was largely raised by her mother. One theme that runs through these pages is her overwhelming need to be accepted by a father who doted on her brother John Henry and, if not a misogynist, held old-fashioned attitudes toward women. “You wouldn’t believe how many times during my young years I wished I had been born a boy,” she observes early on. There’s a revealing story about an invitational cross-country race when she was in sixth grade. She had a chance to be the first girl to win it. Making the outcome even more crucial, her father was there. She was third going into the home stretch but, summoning every bit of determination she had, she ended up winning. It was a wonderful moment that she wanted to bask in with her dad. But the other parents came up and started asking him for autographs and she was gradually pushed aside. 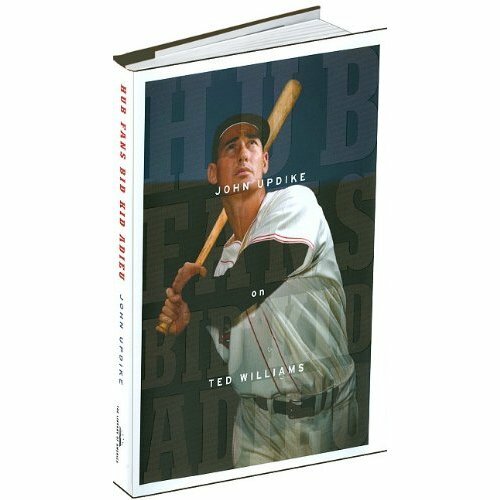 As the Red Sox and other baseball fans commemorate Tuesday’s 50th anniversary of Ted Williams’ final and famous at-bat, we are waxing nostalgic with a wonderful little commemorative edition of John Updike’s 10/22/60 The New Yorker essay about the event. Updike prepared the bound reissue just before his own passing in January 2009. They’re both gone now, two greats in their own fields, and today they are intertwined in baseball history, as you can see with this presentation by The Library of America. The essay itself is the biggest reason to buy the book, simply to read it again and put yourself back in time at that “lyric little bandbox of a ballpark.” There are more reasons, though. One is the replication of Updike’s original manuscript, printed oversize onto the inside of the front and back covers, rendering his own hand-editing marks and manual-typewriter strike-thrus. And more importantly, Updike also included the footnotes that he had added in a 1965 collection, Assorted Prose, elaborating on key points in the original essay. For example, Updike wrote this in 1960: “Hence his refusal to tip his cap to the crowd or turn the other cheek to newsmen.” There is a “3” footnote after “cap” and then you read at the bottom of the page: “But he did tip his cap, high off his head, in at least his first season, as cartoons from that period verify. 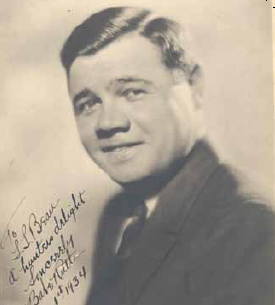 He was also extravagantly cordial to taxi drivers and stray children…” Such elaborations are very important if you’ve only read the original.